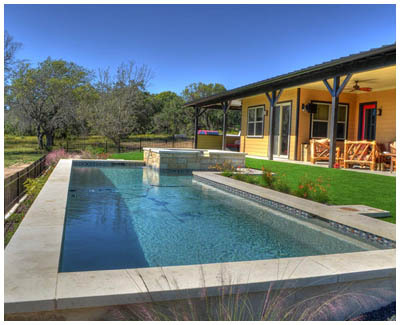 Marble Falls Spa & Pools has been building, selling and servicing swimming pools and spas in the Marble Falls and Highland Lakes are of Central Texas since its inception in 1981. Mr. Lee Beuershausen took over in 1992 and has continued to operate and expand his business. Currently Lee oversees the custom design, construction and sales of quality in ground (gunite) swimming pools and spas. Marble Falls Spa & Pools has built over 800 amazing custom swimming pools as well as pool and spa combinations in the Horseshoe Bay and Highland Lakes area and continues to grow. 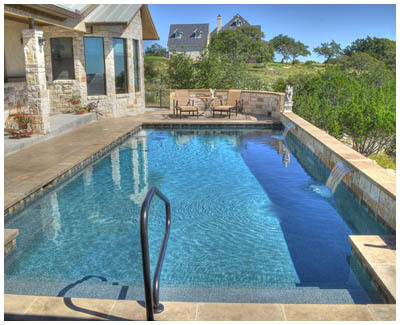 If you need a swimming pool or spa for your residence in the Highland Lakes area, give Lee a call at (830) 693-8292. Copyright © 2015-2019 Marble Falls Spa & Pool. All Rights Reserved.